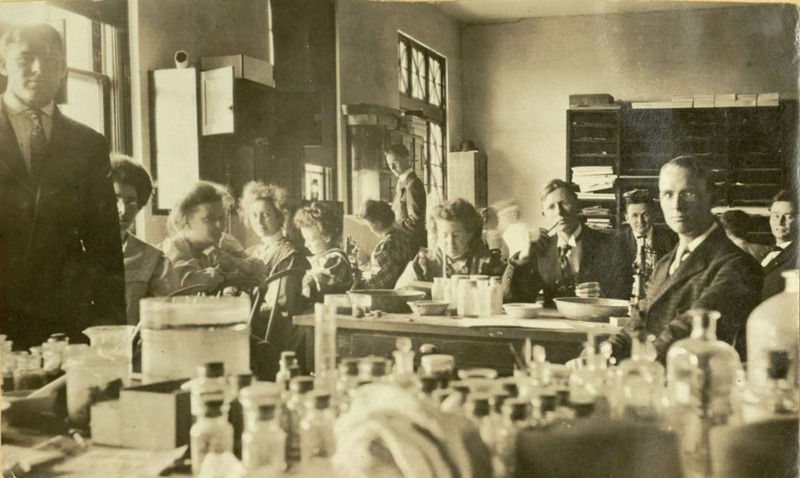 Nan Allene Anderson’s photo album depicts life as a Baylor student pre-1910, such as this image of students working in the chemistry lab. (Nan Allene Anderson papers, 1906-1923, undated, Accession #2267, The Texas Collection, Baylor University). Nan Allene Anderson papers, 1906-1923, undated (#2267): This collection includes a photo album that documents the Baylor University campus pre-1910, including photographs of sports, Burleson Quadrangle, and other images of campus and student life. Also included are two commencement addresses. Emmanuel Henderson Civil War diary, 1862 (#3964): This collections contains documentation of a Confederate soldier through a small leather bound journal. Henderson served as a private in the 14th Texas Calvary in the Confederate Army during the American Civil War. Helton family papers, 1866-1998 (#4004): The Helton family collection contains correspondence, items from World War I, and other materials about the family as they lived near Clifton, Texas and as various family members went off to war. Thomas Mitchell Bartley Jr. photo album, circa 1920s (#3914): This photo album shows the voyage of Thomas Mitchell Bartley Jr., who sailed the western Pacific Ocean in 1929. He was a crew member on a cargo vessel and took pictures in the Philippines, Hong Kong, China, Japan, Hawaii, and the Panama Canal. J.L. Walker papers, 1861-1949 (#4): The J.L. Walker papers provide a glimpse into the life of a Texas Baptist preacher, who was deeply interested in religious and secular history. Walker wrote extensively and the collection contains many of his writings on Texas history, Baptist history, and sermons. The collection is especially useful for researchers looking for background information on R.C. Buckner and the Waco Regional Baptist Association. 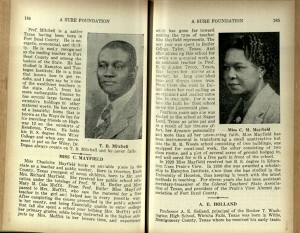 Emma Louise McDonald Harrison papers, 1947-1990 (#1607): Emma Louise McDonald Harrison was a local Waco woman and the first African American woman to serve on the Waco Independent School District. She was well-known in the community for her contributions to organizations concerned with civic improvement, education, health, medicine, and youth. 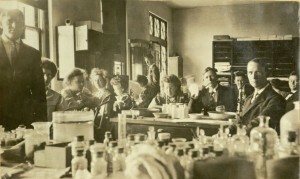 Her collection includes photographs, clippings, correspondence, and other collected materials. Lawrence Westbrook papers, 1933-1971 (#331): The Lawrence Westbrook papers provide a picture of life as a Works Progress and New Deal administrator during the 1930s and 1940s. His papers hold literary productions, most notably Westbrook’s The Boondogglers, which reflects on his work and the work of other members of the Works Progress Administration. Ayer, I. Winslow. 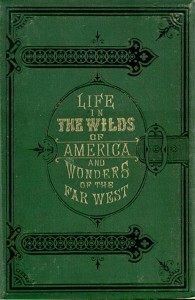 Life in the Wilds of America: and Wonders of the West in and beyond the Bounds of Civilization. Grand Rapids: The Central Publishing Company, 1880. Print. In 1880, the American West was still a largely mysterious place. Ayer believed that Americans, many of whom travel abroad and have extensive knowledge of other countries, should have knowledge about the West. 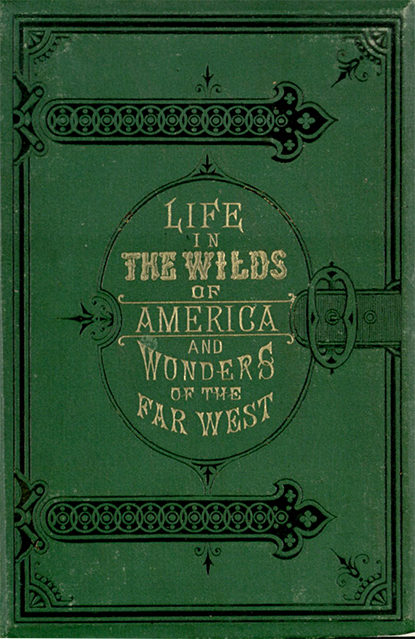 This volume, which also serves as a travel guide, describes many areas of the frontier. Click here to view in BearCat! Jackson, Andrew Webster. A Sure Foundation. Houston: . Print. 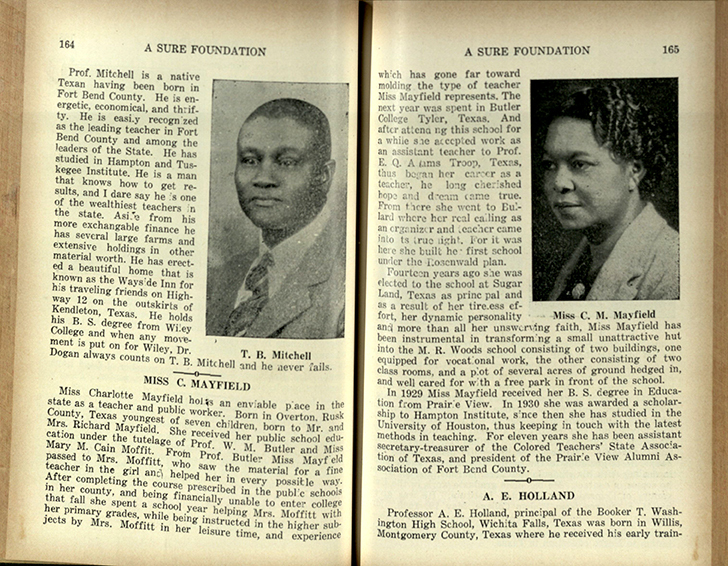 This expansive 644-page volume contains biographical sketches and photos of African-American Texans. The author’s intent was that the people highlighted would “serve as an inspiration” for readers because he believed that studying the successful lives of others could help build a solid foundation for one’s life. Click here to view in BearCat! Dunn, James Erle. 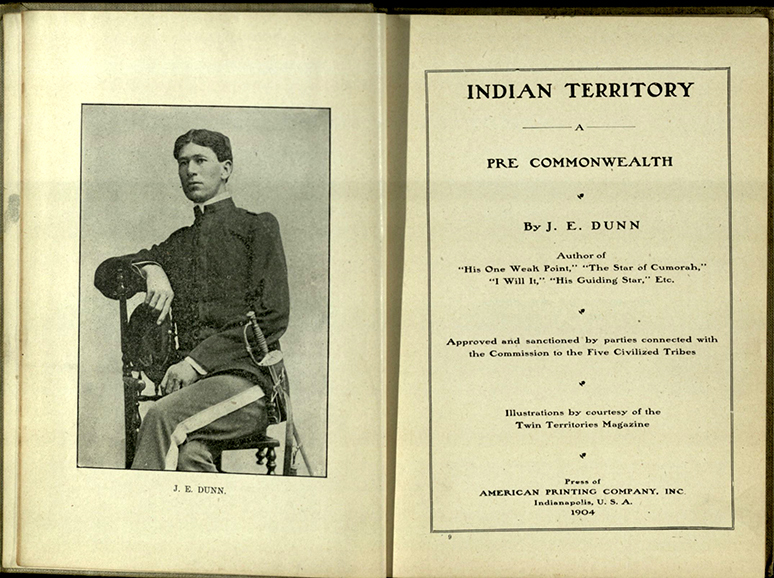 Indian Territory: a Pre Commonwealth. Commonwealth Publishing Company, 1904. Print. Published three years before Oklahoma became a state, this volume provides a brief history of the Five Civilized Tribes and also provides information about the resources, government, schools, customs, etc. 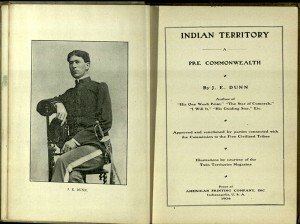 of the Indian Territory. Also included are a number of images of Native Americans, including Quanah Parker, as well as photos of buildings, homes, and farm lands. Click here to view in BearCat! Great post! Keep it up and thanks !